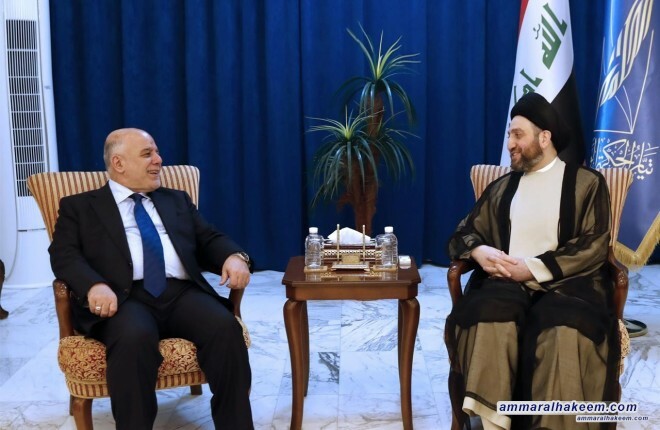 His eminence with Abadi discussed the latest political situation, the completion of the government cabinet and the future prospects of the Reform and Reconstruction Alliance. His eminence stressed on completing the government cabinet and encourage the best members to guide the government towards priorities including providing services, fighting corruption and eradicating unemployment, and reiterated support for the government of Mr. Adel Abdul Mahdi. His eminence stressed the need to intensify meetings between the Reform and Reconstruction Alliance in order to reach institutionalization and integrated performance, and the need to complete the internal committees, actively contribute to pass required legislation and evaluw the work of the government.